great sculpt, looks just like 90s beast. best looking version of this character from this line. jaw moves too! This was one of my very first Marvel legends figures and to this day I think it's still one of the best. The sculpt is top notch, and I'd even say ahead of it's time, the paint work is solid and you can get lots of cool acrobatic poses out of him. 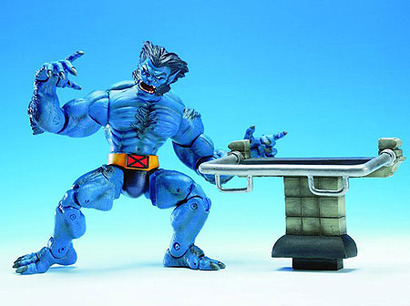 Overall I'd say this is the perfect Beast if the Jim Lee version is you're favorite look. Highly recommended. The articulation is a little wonky; however, dry brush a little gray on him and u have the cooler more evil version "The Dark Beast".